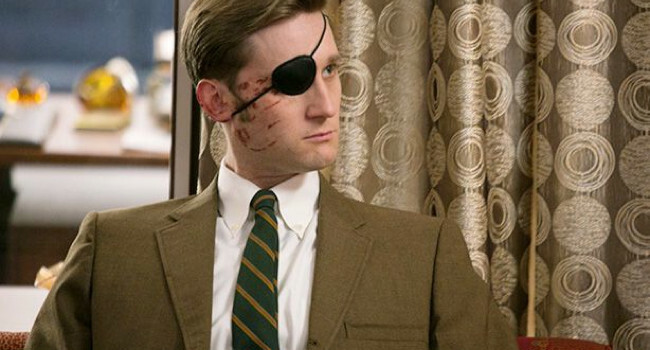 Ken Cosgrove (Aaron Staton) is an account executive at SCDP in Mad Men. Though he may not be as emotionally handicapped like some of his co-workers, he’s now physically handicapped after a hunting accident. Despite the one bad eye, he continues to write science fiction novels under his pen name, Ben Hargrove.